PayPal is the first payment method we use to pay our winning Creatives. When you are requesting a payout, you are asked to provide your PayPal email_id Squadhelp will then transfer your winnings to that PayPal account. In order to protect the integrity of our platform, we require a confirmation that your PayPal account status is 'Verified'. To verify your PayPal account you must log in, and confirm that your account status is 'Verified'. Step 1: Log into your PayPal account. 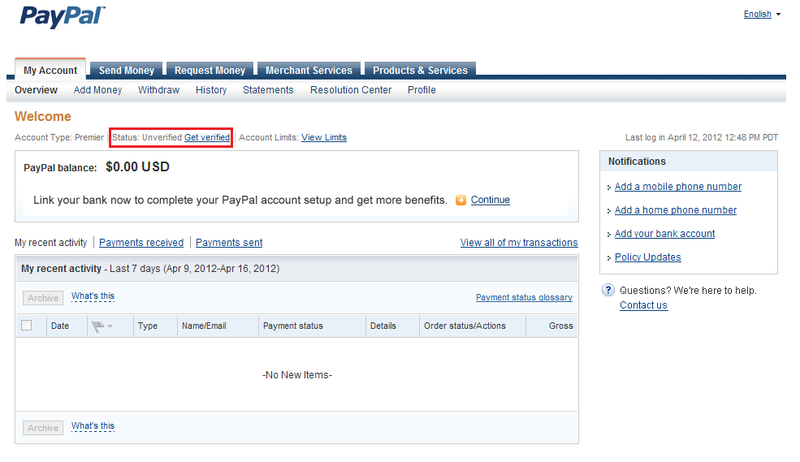 In order to verify your PayPal account in the US, you will need to enter a valid bank account. Sign in to your account, if you are not already 'verified', click the 'Get Verified Link' on the top left of the page. Step 3: Select whether you would like to verify your account by connecting your bank account or a credit/debit card to PayPal. Once you have you have completed these steps you are Verified. If your account has already been 'Verified', your account status is located below your name.